The reason why ceramic material used more in bearing than steel means it is 50% higher than the steel material. Now it gets increased by 15 to 20% in the rigidity value. Undoubtedly the hardness of ceramic is much better than steel material because of its thickness. 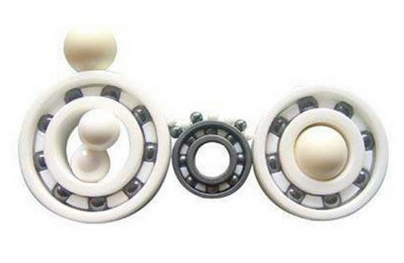 The material used in the ceramic bearing is of Zirconia Oxide or Silicon Nitride. The overall weight of this bearing is 0.48 ounce. Along with your bicycle gets better speed than before. You can have fast, speed and smooth drive when you use ceramic bearings. The ceramic bearing is rounder and smoother when it gets manufactured in high-quality steel then it will have six to nine watts but offer insufficient speed. On the other side, ceramic bearing is less weight than steel bearing so your bike gets less weight. Even though ceramic bearing meets any odd since it is made of harder material and then it will protect from corrosion. No breakdowns will fall and you can get long-term performance than steel bearings.